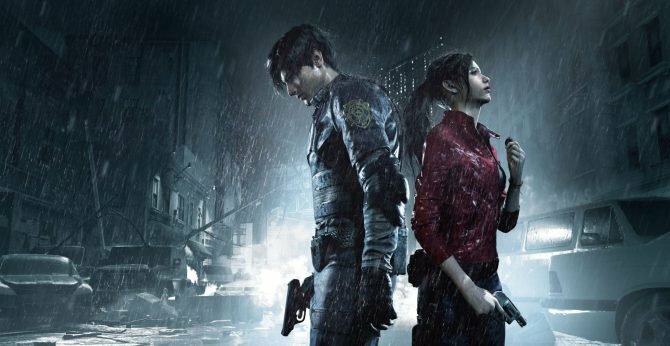 Capcom revealed the costumes that you get in the Deluxe Edition of Resident Evil 2, alongside a reversible cover featuring Leon and Claire. 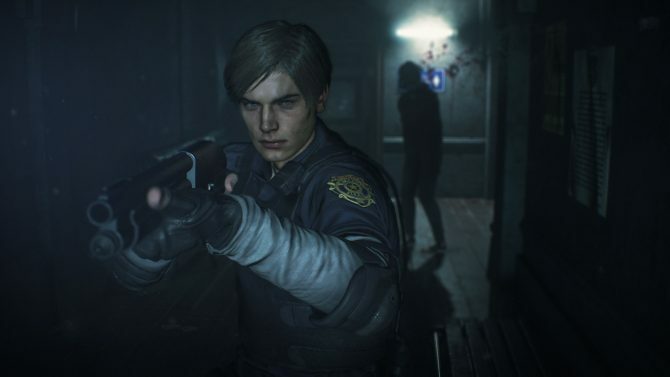 Today Capcom provided on Twitter a look at the Deluxe Edition of its upcoming Resident Evil 2 remake. 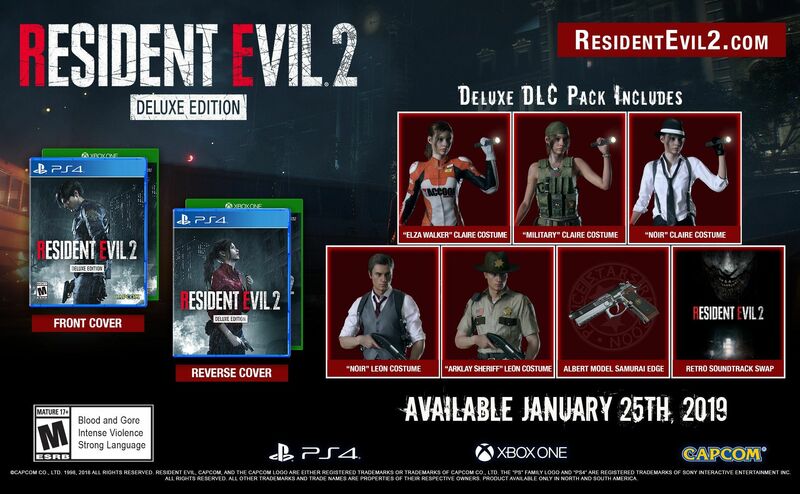 The edition will include a reversible cover showing Leon Kennedy on one side and Claire Redfield on the other. 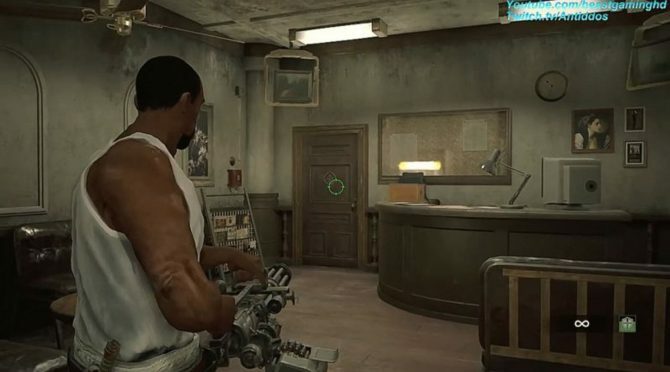 We also get to see three costumes for Claire, including “Elza Walker,” “Military,” and “Noir.” Two costumes for Leon include”Noir” and “Arklay Sheriff.” Lastly, the package comes with the Albert Model Samurai Edge gun and the retro soundtrack option for the nostalgics among us. You can check them all out below. The Elza Walker costume is definitely my favorite. Claire looks great in it. 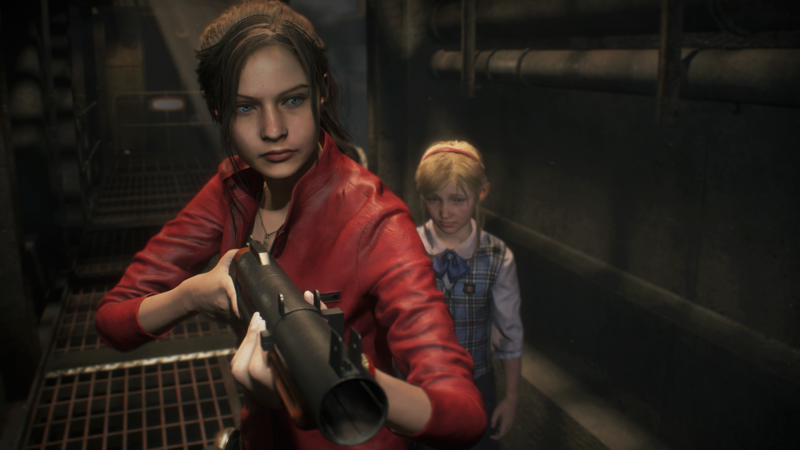 If you want to see more about Resident Evil 2, you can enjoy the latest gameplay and screenshots fresh from Tokyo Game Show, the latest trailer and more screenshots featuring Ada Wong and more, the previous gameplay, the announcement trailer, and another gallery of images. 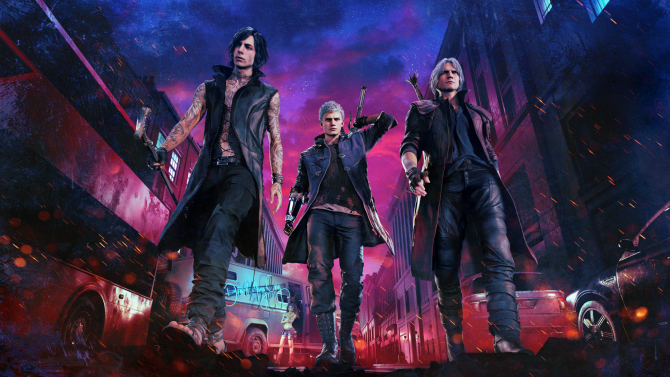 You should also definitely read my brand-new hands-on preview.